Has several uses beyond listing presentations, such as recruitment and market tours. Tracks general prospect access and engagement. 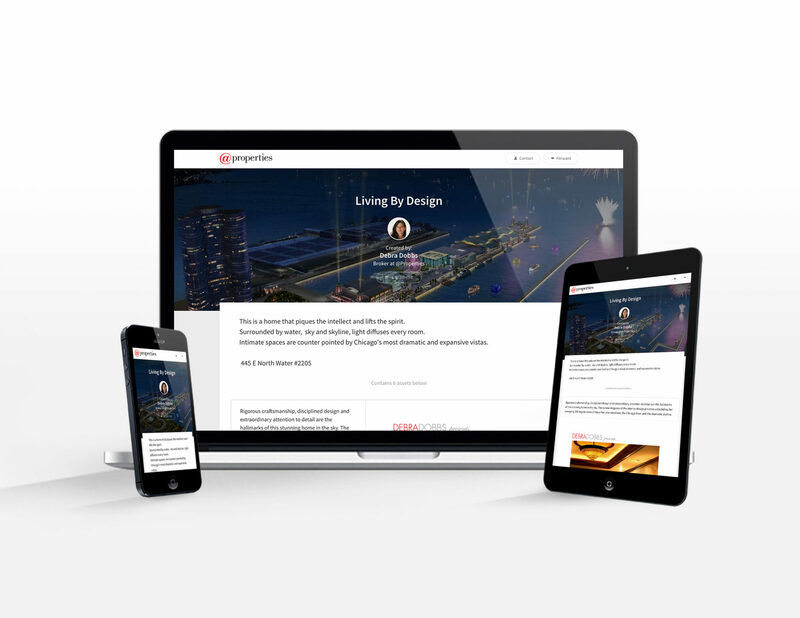 PointDrive is mobile-first presentation software that collates marketing and sales content at a single Web address. It’s all here: PointDrive allows all forms of content to be presented, such as video, PowerPoints, PDFs, images, URLs and the like. Work with us: Brokerages can leverage PointDrive as a recruitment tool, uploading agent testimonials, branding advantages and more. Inbox zero: Use PointDrive to deliver marketing messages to prospects in lieu of attachment-laden emails. PointDrive does not create content; it simply helps you package and track interaction with what you create for your listings and company. PointDrive offers agents a dissenting voice in the competition to land a listing. Using its easy admin interface, users upload a range of sales and marketing materials, including from company videos, websites, brochures, market reports and transaction histories. Each piece of collateral is then neatly summarized on your branded PointDrive page for publishing to a select number of prospects. Viewers interact with PointDrive content like a news scroll. Clicking on a panel opens the material for consumption. Savvy agents will benefit by sharing PointDrive presentations on their Facebook pages, LinkedIn accounts or sending them via text message. Any form of content can be part of your presentation. Video must be hosted on Vimeo or YouTube, but is easily streamed through your site. Buyer’s agents could present maps of homes to be toured, websites of local retail destinations, pictures of parks, as well as school reports and community homeowners association (HOA) websites. The options are as deep as your sales savvy. PointDrive is not to be confused with an email marketing tool or CRM add-on. Presentation dissemination is limited, as it should be in order to leverage PointDrive’s ability to create highly targeted outreach efforts. Its Insights tool allows you to track access and engagement, the later measuring clicks, forwards and actual user interest. 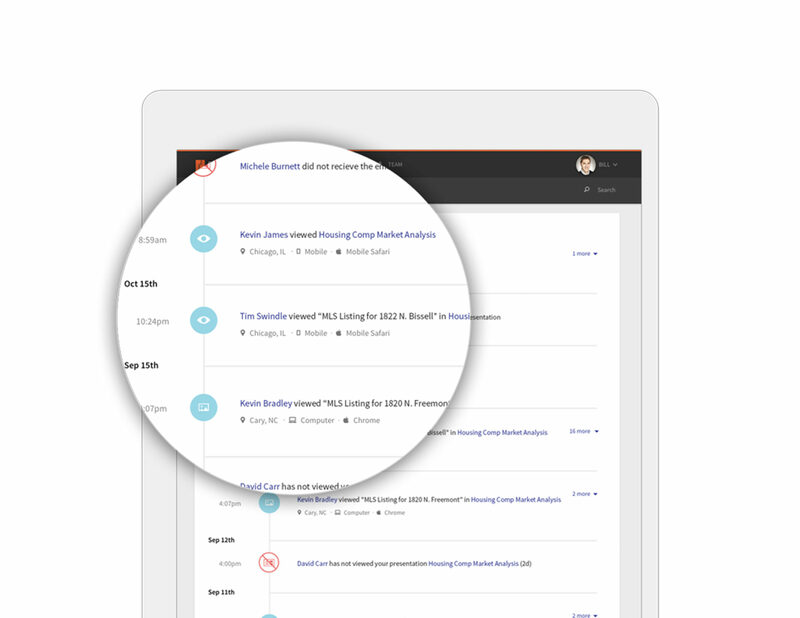 The dashboard offers a sleek timeline of presentation activity by prospects, providing location, date and time, and device type used. A quick scroll through the back end confirms this is a mobile-first design. It’s concise and subtly color-coded, app-like. Understanding the benefits of PointDrive requires little explanation. Its use cases are many, especially if you’re an agent or broker who is proud of the quality of your messaging. PointDrive is a compelling, practical way to improve the ROI of your marketing budget. PointDrive is an excellent sales tool and a compelling, practical way to improve the return on investment (ROI) of your marketing budget. Do you use PointDrive — and what do you think? Leave a comment and let us know!